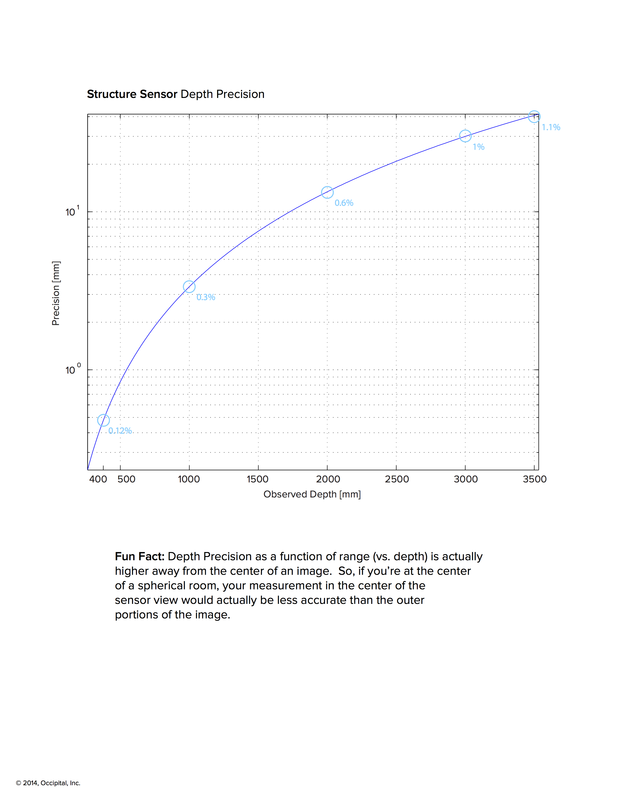 The precision of the Structure Sensor can be found on this chart below. However, if you’re trying to scan 3D objects or track motion paths, the quality of results will vary widely depending on the software used. Make sure you’re using the latest Structure SDK and have tried a variety of different apps to gauge precision and accuracy of results achievable.